Yaz is a prescription birth control pill containing drospirenone and ethinyl estradiol. The medication works to prevent the ovary from releasing an egg during the menstrual cycle and changes the lining of the cervix and uterus so a fertilized egg will experience difficulty implanting in the uterus. Yaz may also help treat acne and premenstrual dysphonic disorder. 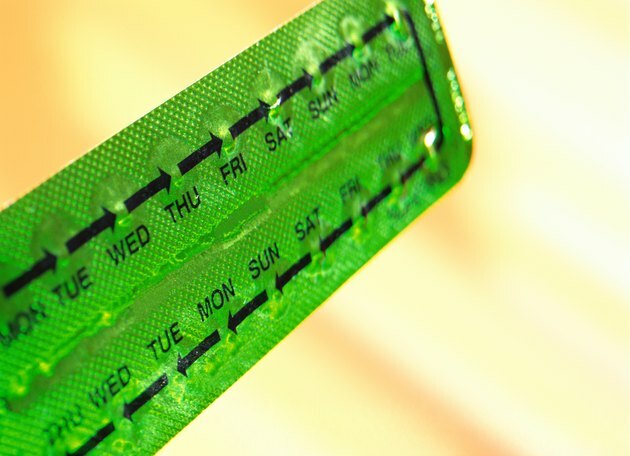 This birth control pill follows a 28-day active hormone schedule with four nonhormonal days before beginning pills containing hormones again. Look at the package to confirm the medication and dosage is the same as prescribed by the doctor. The Yaz pills come in a blister pack with 24 pink pills and four white pills. Follow the physician's instructions on when to begin taking the medication. The start day will be the first day of a menstrual period or the first Sunday following the start of a period, according to Drugs.com. Begin with the first pink pill and swallow without crushing or chewing the medication. Continue taking one pill each day until completing the package. Begin a new package the next day after the final white pill. Take Yaz at the same time each day, with or without a meal. Add taking the pill to a normal daily routine to decrease the risk of forgetting to take Yaz. Avoid skipping medication. Take the missed dose as soon as possible, even if this means taking two pills in a single day, according to the Physicians' Desktop Reference. Use an alternate form of birth control after skipping a dose. Pregnancy may occur for seven days following a missed dose. Yaz will not protect against a sexually transmitted disease, so using a condom will also prevent contracting an STD. Stop smoking. Smoking increases the risk of developing blood clots and additional heart problems while taking Yaz birth control pills. These risks increase for women over the age of 35, according to Drugs.com. Monitor for side effects. Common side effects related to taking Yaz include gastrointestinal problems such as nausea, abdominal pain and bloating, bleeding between menstrual periods, breast changes and weight changes. Serious side effects include blood clots, high blood pressure, gallbladder or liver disease, according to the Physicians' Desktop Reference. Report any serious or bothersome side effects to a physician. Perform a monthly breast exam to monitor for any changes in the breasts. Store Yaz pills at room temperature and away from children and pets.